The below painting and caption have been added to the Trombone History Timeline (18th century). 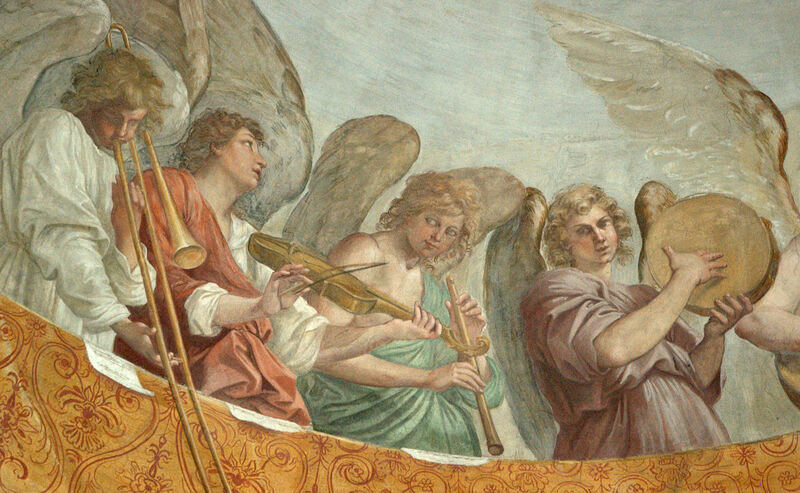 I have also included it in the collection, Angel Trombonists throughout History (bringing the total to 106 images) and plotted it on the Interactive Map of Trombone Art in Europe, pre-1800. 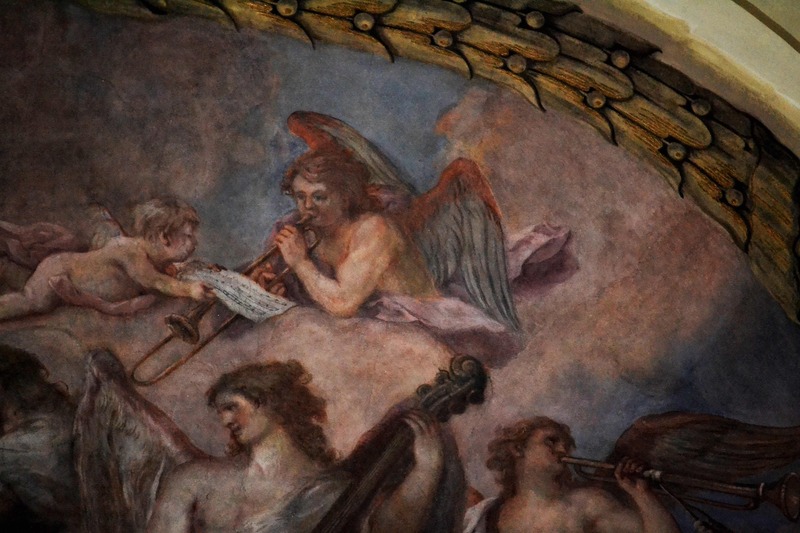 As you will probably notice, this is a relatively late setting of an angel playing trombone. 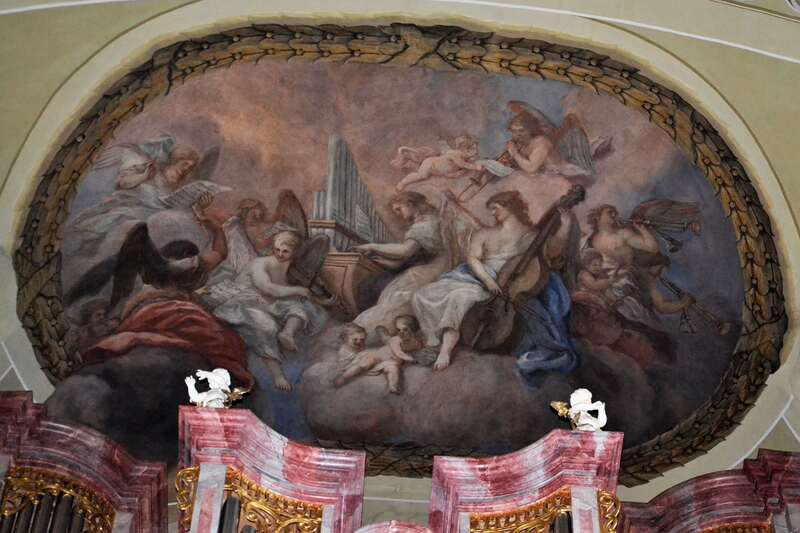 1787—Krems, Austria: Martin Johann Schmidt paints a fresco in Pfarrkirche St. Veit (St. Vitus parish church) that features numerous music-making angels, including an angel playing what appears to be a trombone (see detail and full image below; special thanks to Kellyn Haley). ← Should You Tip Your Trombonist?